Since it’s the 100th anniversary of Our Lady of Fatima this May, we would like to have a movie night on April 24th at 7pm to get familiar with all the apparitions that took place in Portugal. 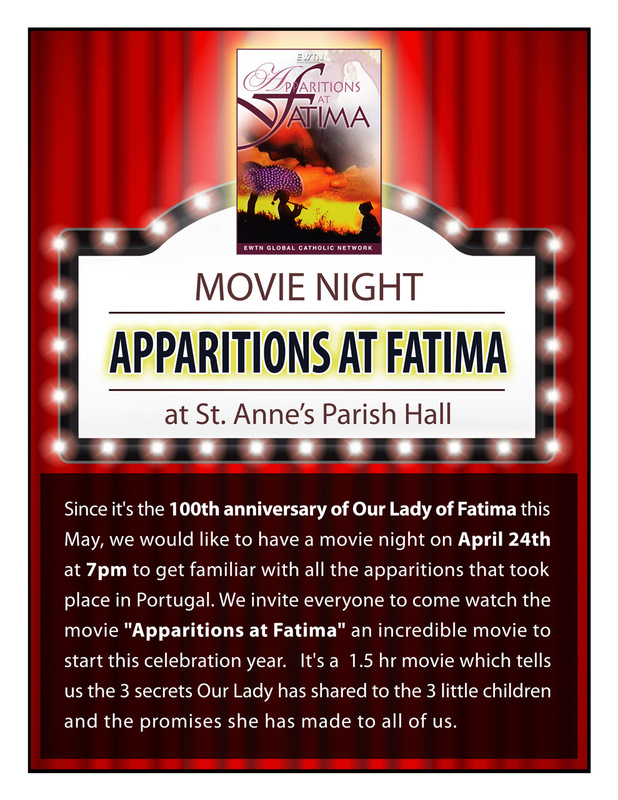 We invite everyone to come watch the movie “Apparitions at Fatima” at St. Anne’s Parish Hall. This is an incredible movie to start this celebration year. It’s a 1.5 hr movie which tells us the 3 secrets Our Lady has shared to the 3 little children and the promises she has made to all of us.